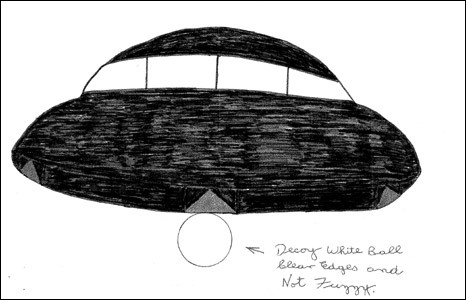 The National Archives is displaying previously classified files on UFOs. 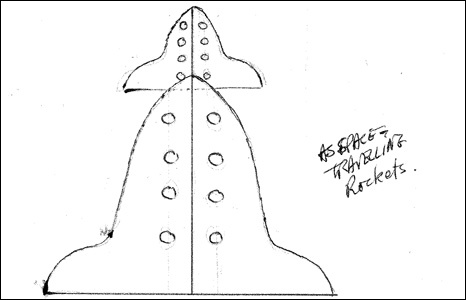 They include this diagram, whose author believed alien craft used decoy methods to avoid detection, carrying not humans but "fallen angels". 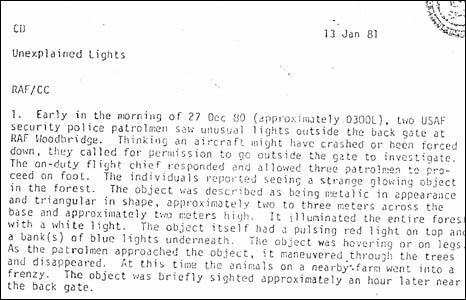 This is a page from a report about a famous incident in December 1980 at RAF Woodbridge in Suffolk, known as "Britain's Roswell". 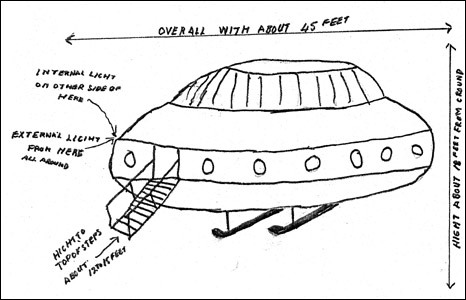 This drawing of a UFO was made from a description given by a 78-year-old man, who claims he was taken on board an alien craft at Basingstoke Canal in Aldershot during 1983. 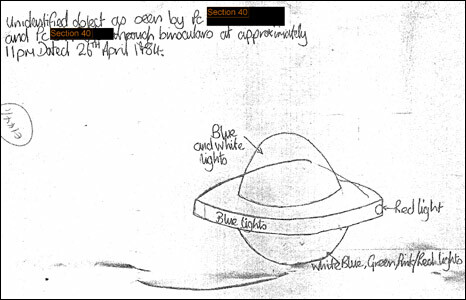 The reproduction of a UFO was made by a Metropolitan Police officer after three officers saw an object at Stanmore in Harrow in 1984. One person attempted a helpful calculation, sent in to the government, as to how an alien spacecraft might be designed. 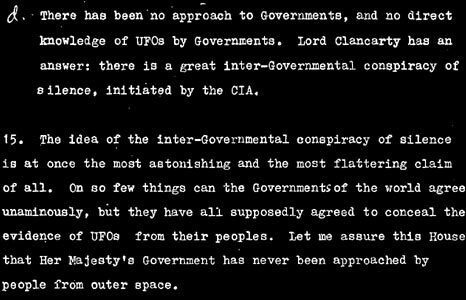 A 1979 government briefing for the House of Lords dismissed the idea of political collusion with aliens.